Topgolf is a global sports entertainment community, check out more information about them here: Topgolf. 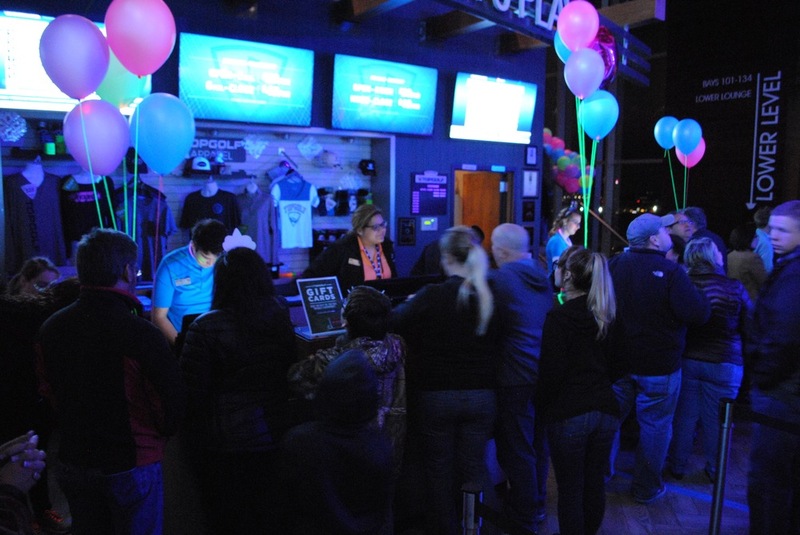 Their San Antonio location used some Hex 3's for their Neon New Year 2016 party. 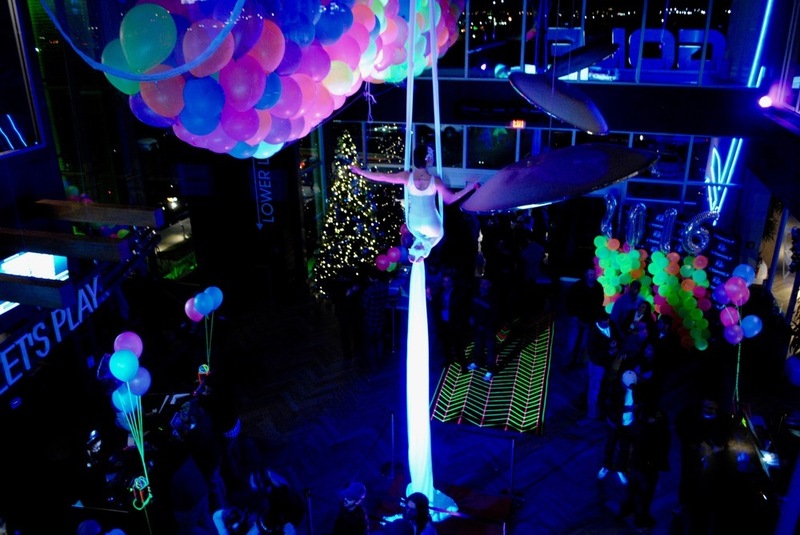 You can create a black light effect at your next event by renting any of our Black light options. The Hex 3 option is great because not only does it have a UV lightbulb for the glow in the dark neon effect but you can also choose from 63 other colors to really get creative in your lighting design. You don't have to decide in advance, you set the color effect yourself while you're setting them up using the built-in digital display. 2) Press "Menu" on the display until you see the letter "C"
3) Press "up" or "down" on the display until you get to number "6"
4) Press "enter" to save your setting.